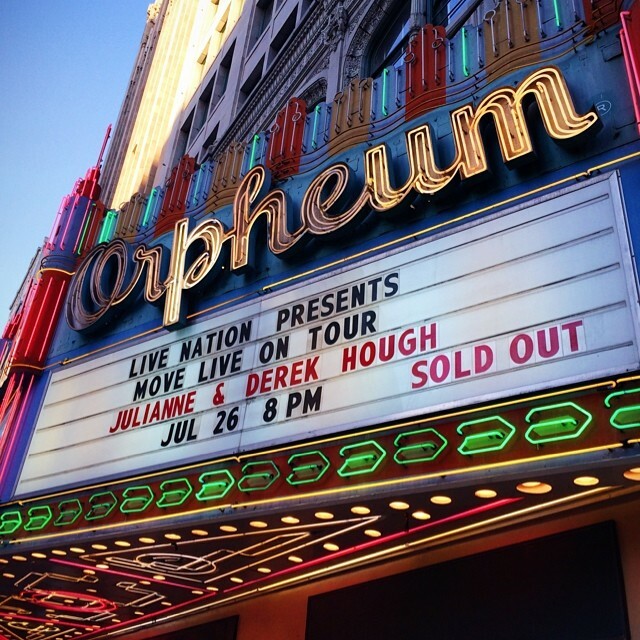 “Move Live on Tour” played the last of its 48-show tour in Los Angeles, California, at the famous Orpheum Theater on July 26…. an it was SOLD OUT (of course!). This was a homecoming for Derek, Julianne, and many of the dancers after an exhausting, yet fulfilling, two months of constant performing, traveling, and dancing. Many of Derek and Julianne’s loved ones and friends came to support them in this last show including their parents Bruce and Marrianne, Shirley Ballas; Julianne’s friends Cara Santana & Pia Toscano; and Derek’s DWTS Season 18 partner, Amy Purdy! 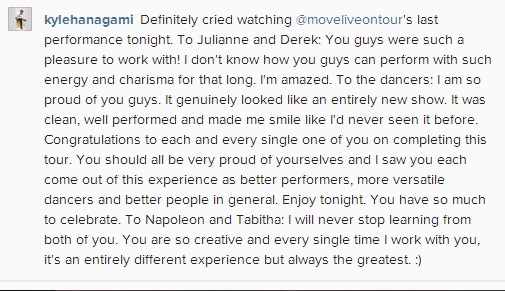 In fact… Derek, Julianne, and all of the MOVE dancers were very reflective of their last show in LA. They were all incredibly GRATEFUL for the experience and thankful to the fans. Check out their wonderful tweets and comments about this last show and the tour. 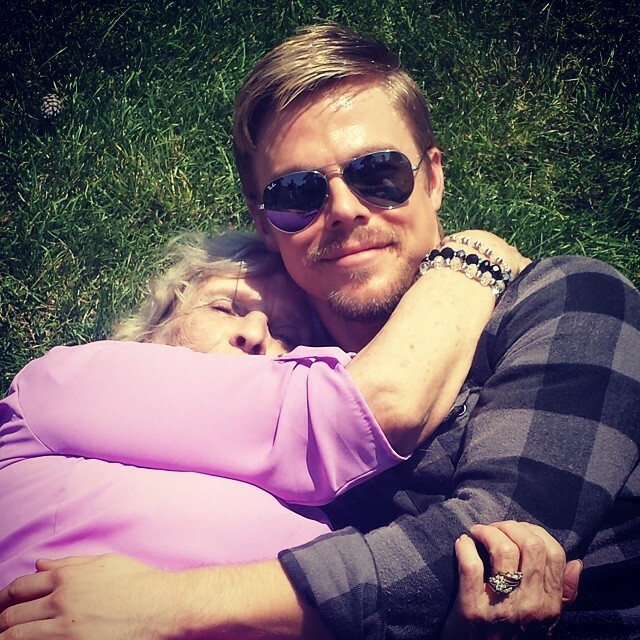 @derekhough @juleshough #moveliveontour final performance. 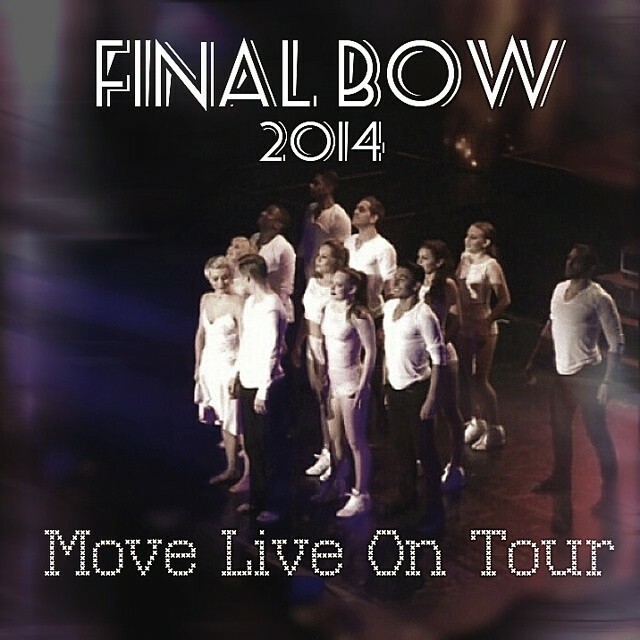 ‘Move Live on Tour’: Reno, NV (07/18/2014) – Miscellaneous Photos, Fan Tweets, Photos, and Videos! 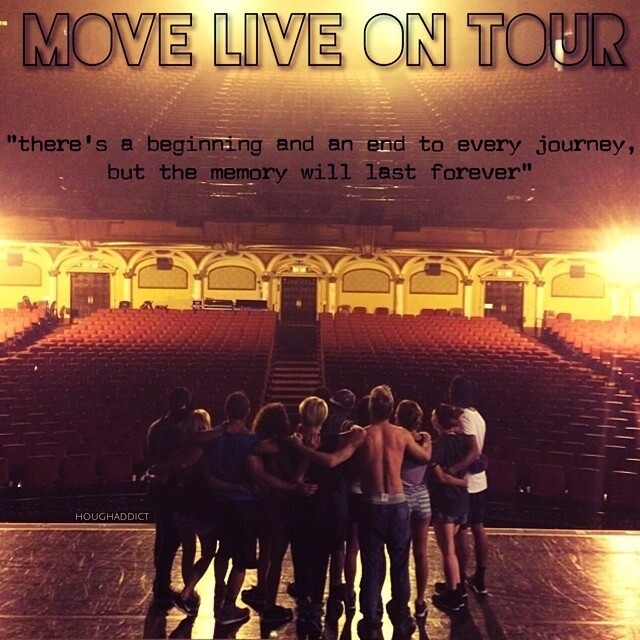 ‘Move Live on Tour’ performed at the Silvery Legacy Resort & Casino on July 18 in Reno, Nevada! To be honest, this show is kind of the blip in the tour because I barely saw anything about the show…. 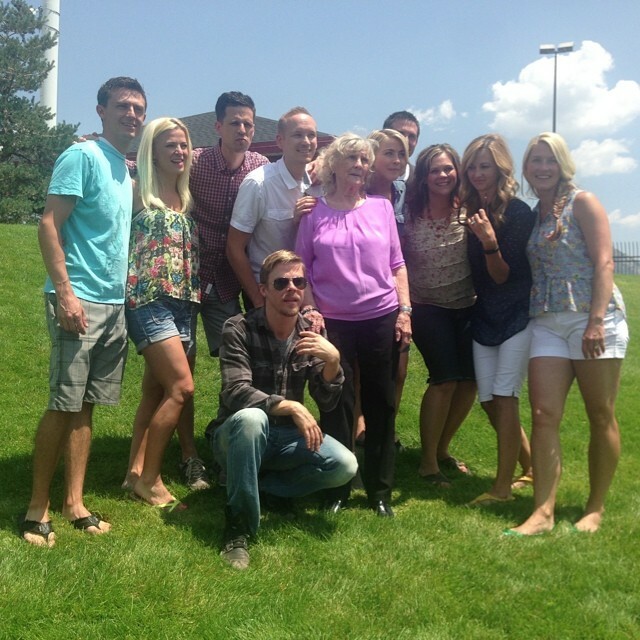 =( I do know that Julianne and Derek’s mother, Marrianne, was there with them because a fan got a photo with her. =) Please enjoy the tweets, photos, and videos I found from the Reno show! 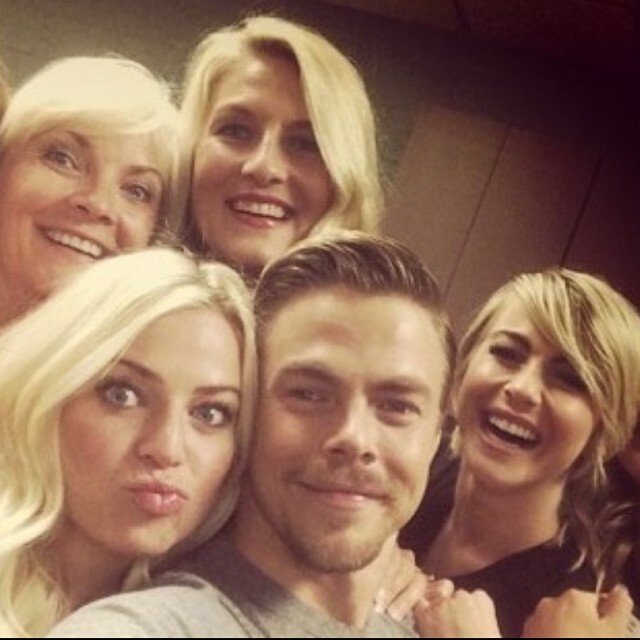 A Family Reunion & a Visit to Primary Children’s Hospital for Julianne and Derek Hough! 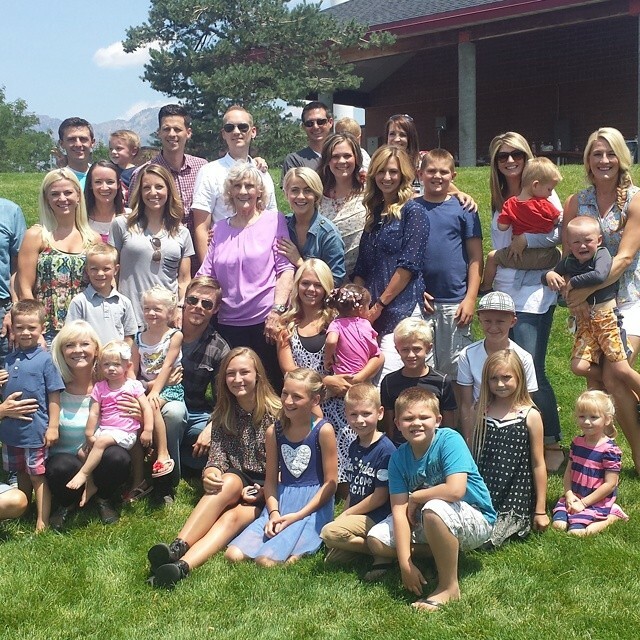 During some time off during the ‘Move Live on Tour’ visit in Utah, Julianne and Derek some more time with their VERY BIG family! In attendance were Grandma Heaton (maternal grandma), their mother Marrianne, sisters Katherine and Sharee, many nieces and nephers, as well as, many cousins. It looks like they had a BBQ at the park prior to the show and the night before a fireworks show thanks to Derek! LOL! Check out all the great family pictures below. 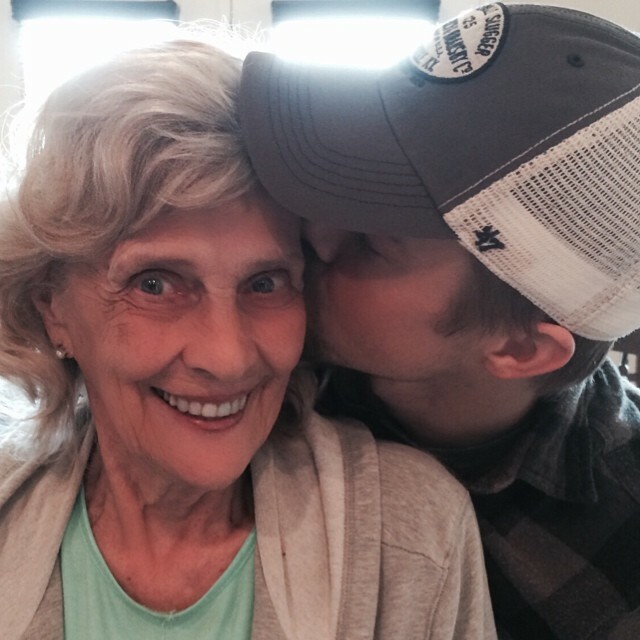 Derek also had a special dance with his mom during Mustang Sally during the show… 😉 Check out the video below! Julianne brings up Rick Robinson (Derek & Julianne’s 1st dance teacher) & friend Jaymz Tuaileva! Derek, Julianne, and Armen also visited children at Sophie’s Music Place at Primary Children’s Hospital in Salt Lake City. They spoke to the kids, danced a little, took pictures, and signed photos with the kids and their families. We have some great professional photos by Sugar Rush Photography. A great article from the Deseret News of Derek and Julianne’s visit to Primary Children’s Hospital! The Hough siblings were en route to their live tour and agreed to visit Primary Children’s Hospital even after a traffic accident delayed them and their crew. “The Houghs are kind of family friends of Steve Young, and so the Forever Young Foundation coordinated to bring them here and have them perform,” said Sandra Orton, the hospital’s communications specialist. During the event, held in the hospital’s music-therapy area, the siblings performed a salsa dance, answered questions, signed autographs and talked with the children. 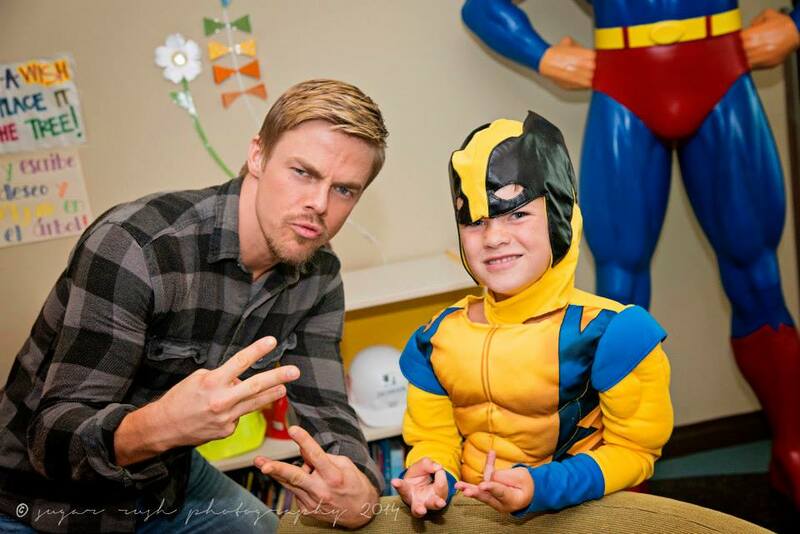 Julianne and Derek Hough provided such a distraction for each child in attendance. In conjunction with the superhero theme, staff members hung a poster in the playroom that read, “Spider-Man’s real identity revealed,” which featured the picture of a young patient. 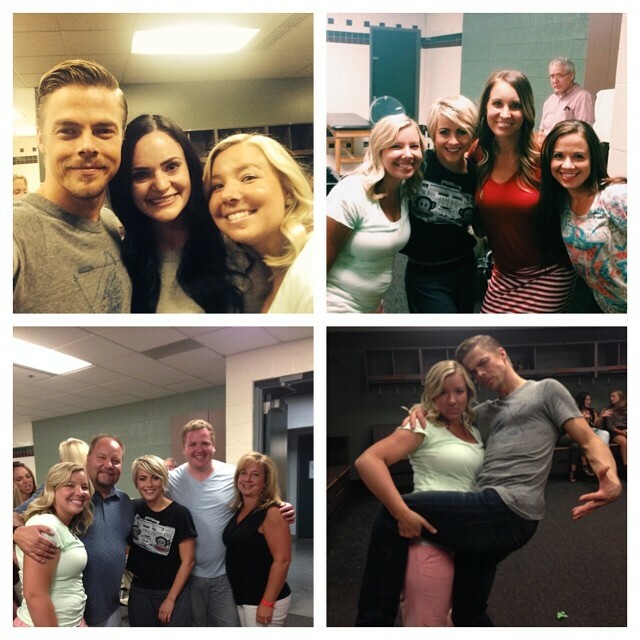 ‘Move Live on Tour’: West Valley/Salt Lake City, UT (07/17/2014) – Miscellaneous Photos, Fan Tweets, Photos, and Videos! It was a happy homecoming for Julianne and Derek as their successful ‘Move Live on Tour’ played the Maverik Center in West Valley/Salt Lake City, Utah, on July 17th! However, there was a setback in that the show had to be postponed by a day (original show date 07/17/2014) because the tour buses were delayed by a freeway accident. 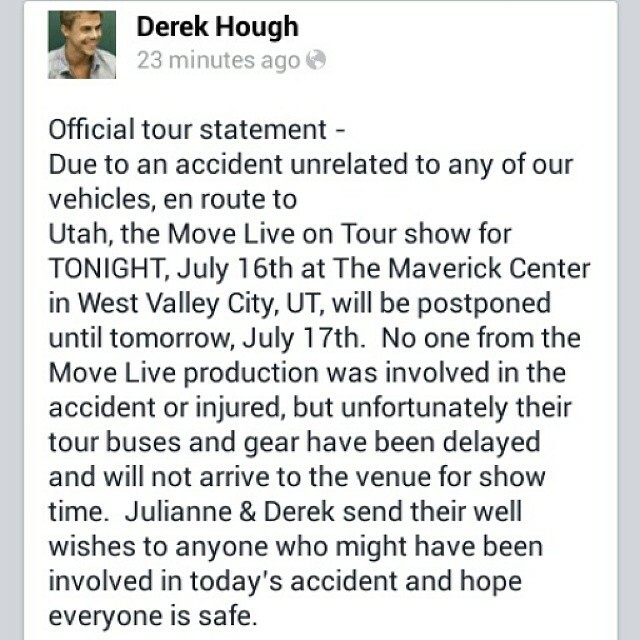 Julianne and Derek took to social media to let their fans know that the show would be delayed and gave their condolences to anyone who might have been affected by the accident. On the up side, this gave Julianne and Derek some more time with their VERY BIG family! In attendance were Grandma Heaton (maternal grandma), their mother Marrianne, sisters Katherine and Sharee, many nieces and nephews, as well as, many cousins. Check out all the great photos below!